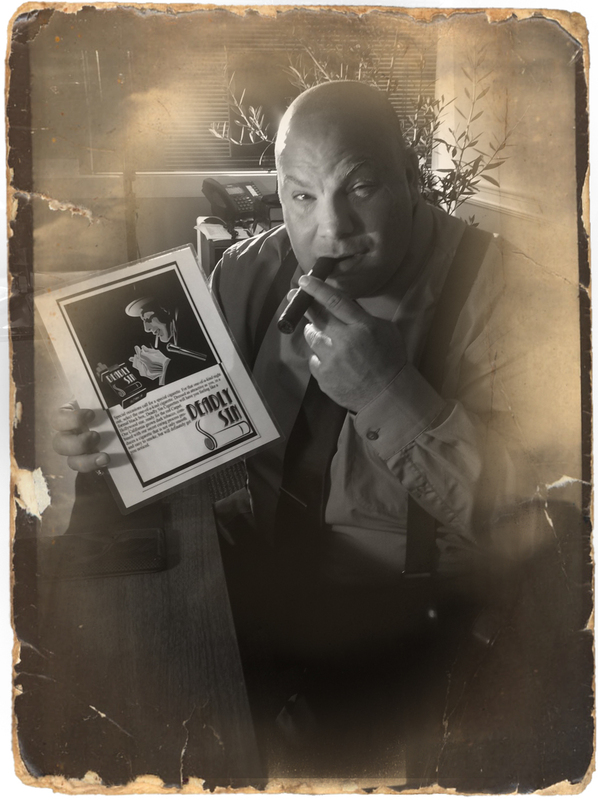 Happy Halloween from Malice and thomas Churchill! Malice Psychotik: So you’ve been working on Lazarus now for a while, where are you with this film? How far out till we see it? 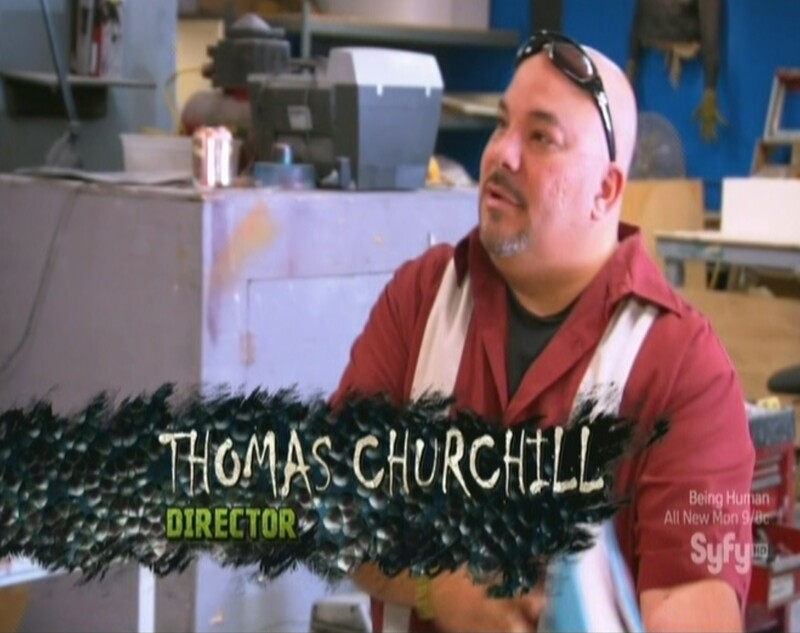 Thomas Churchill: Does it seem like that…Oh because it’s in Black & White… Ha Ha! 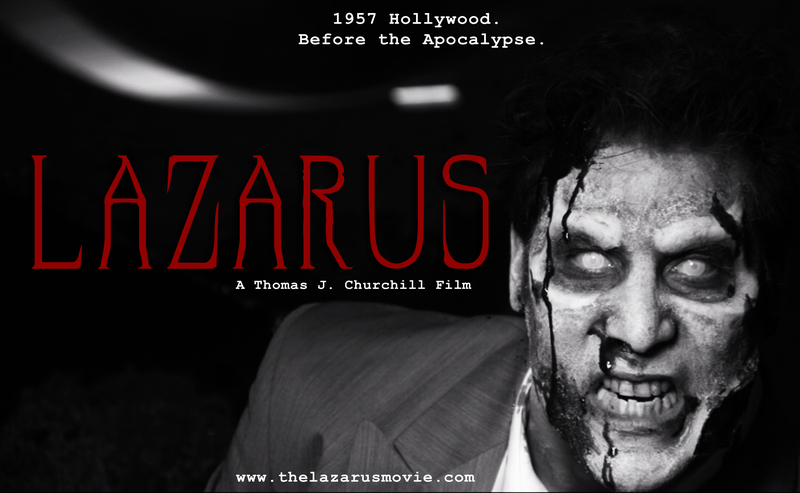 It has been a very busy year with Lazarus…Since production back in March and now we are a few weeks away from finishing up the post production process of the film … I am feeling the love by the genera fans, as well as numerous emails from distributors…Looking to get their hands on him. This is such a great response to this little film…. Lazarus looks to be ready for the world sometime next year. Totally up to the distributor. I can not wait for the world to be introduced to him. Malice: Can you tell my readers a bit about it? Malice: One thing that stands out to me more than anything about this film, is already from things I’ve read, small trailers seen, photos, this doesn’t seem to be your average run of the mill Zombie movie. What inspired you for the story? Church: Not doing more of the same was actually the inspiration for me… My business & producing partner David M. Parks had suggested for us to do a Zombie film. I answered him by stating I would contribute to the genera …if I have something different to say…Like, What if we told the beginning of the end type of story. I went on with my pitch to him… What if it was a period piece, shot very retro- film noir styled, A old school murder mystery…Very Hitchcock. But staying true to the ZOMBIE fans. What if the story is a loose prequel to the Grand Daddy of all Zombie films… a prequel to Night of The Living Dead. Telling a new story…about the beginning kind of gave us room to lay down new rules…sort of a new canvas to paint on. Malice: You’re also working as a co-host on Dino’s Prime Cuts and you have your own Allradio X. What got you into Radio? Church: Yes, I owe that to a good friend and co-producer of some radio shows, Ms. Sherri Emily. She was the one who connected me back to radio. Sherri had made an introduction to her friend Christopher Corridino aka “Dino” of Dino’s Prime Cuts. He was looking for a co-host for his new show. We spoke a bit and vibed a little on the phone, he then offered me the co-host gig. His show airs Wednesday nights… it is dedicated to his band Carnival of Souls, as well as all musicians & upcoming unsigned bands that need that hand in getting their music played on the radio. Besides being his co-host, I do a small segment on his show called, Church’s Hollywood Moments where I preach the word of film and have some cool guests. Sherri knew that one of my goals was someday to have my own show. …Next thing I know I was in discussions with AllradioX. What stood out to me about AllradioX is that they are indeed a new station…coming in on the ground floor with a new team…and they have balls with their focus! I clearly wanted in. I accepted the terms and now have my own show on their station. Malice: What sort of things do you talk about between the two shows? Church: My show, Church’s Hollywood Moments, is an entertaining talk show. With a kick. …I brought back to the air Dr Drew Albright who..at one point…her and I used to be a co-hosts on a former radio show that we were both involved in. Sherri Emily is now also added to the mix as one of my producers. I feel the show/people …is a good blend for a cool new show. The show is completely dedicated to the world of Independent / Hollywood film making. We interview guests, and help that filmmaker out there that is need of that motivational push! The what to do and what not to do is getting into the business. The show is a spin-off from my 15 min segment spot on Dino’s show but now longer. The show airs every Tuesday night 8pm EST/ 5pm PST on AllradioX.com. Also, I co-host along with Zack Daggy & Alan Sale for a Horror review show called The Midnight Meat Locker that aires Sunday nights at 10pm EST / 7pm PST also on AllradioX. Malice: What was this whole business with SyFy “Monsterman”. Were they really doing the makeup for Hollow Pointe? What ever happened to that little gem? Church: You say… Ah, yes the little show called “Monster Man” that aired on the SyFy network. That show was so fun and cool to do. It’s not every day an indie filmmaker crosses over to a huge network show. Monster Man I hear is now airing in South America. I also heard episode #2…my episode …The Forbidden Werewolf was one of the highest rated episodes out of that series. That’s pretty cool. I can not wait for more Monster Man. I am friends with Roy Knryim and of course Cleve Hall and family. I had a meeting with Roy about the design for the werewolf…We wanted to put together a trailer for Hallow Pointe to create the buzz for the project. Roy, and some Monster Man Executives had asked me if they can do this with me for their show. The building of the wolf and the shoot. I immediately thought it would be fun…extra PR coverage for a little Indie film that will need the to get extra hype just to compete with the BIG dogs…The Studios. To plan something big…sometimes good projects take a little bit to get to that point of shooting. So, it’s coming. 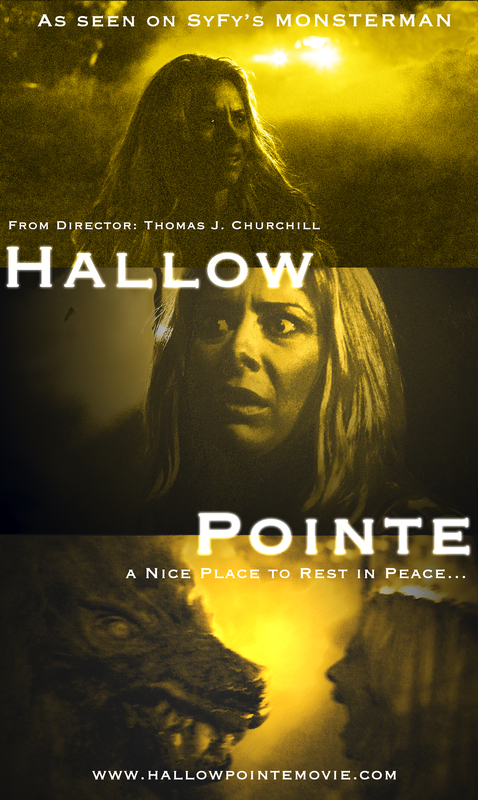 To answer your other question…Yes, the team will be doing the FX work on Hallow Pointe. Joe Knetter wrote a great script and what we are planning to do with it is going to raise the bar with a creature feature. We are still working on that…putting the right pieces together to build the perfect “wolf” film. To me…this film will be an event rather than just a little horror film. Malice: You going to have any further dealings with the show? Church: All depends if they invite me back to play again. Sure, I would love to. Had a ball on that show. It was like 8-10 days…just so much fun. Malice: Out-of-Hat Question (From Seras) With the amount of poking you do on a daily basis on Facebook…how do your get your various jobs done? Church: LOL. That is to funny. I poke probably as much as I get poked. It’s crazy… Well besides being connected from the laptop…the app is also on my phone. So, yeah it makes it a bit easier to fight in the poking war. LOL. Malice: Out-of-Hat Question What is your opinion on “Brad Pitt Zombie Movie” aka “World War Z” ? Church: I had watched it in the theater…thought it was entertaining. It was to safe for a ZOMBIE flick. No blood. No gore. Where was the horror? Suspenseful…sure. But then again…it was a PG 13 as well as being a studio film…so it made bank. I hear the BluRay has a version of havoc. Blood and gore are in the film. I will have to check it out. Malice: Out-of-Hat Question One of my favorite subjects in writing is the Seven Deadly Sins. Love to put them in things…Ever thought about a film? Church: Sure, would love that. The film Se7en touched in so beautifully with the concept. Amazing film. Dark, edgy, suspenseful. Ha! , and another Brad Pitt film…what are you secretly revealing to me …that you are a HUGE Pitt fan? Honestly, I think my favorite Brad Pitt performance was in the film 12 Monkeys. Brilliant. 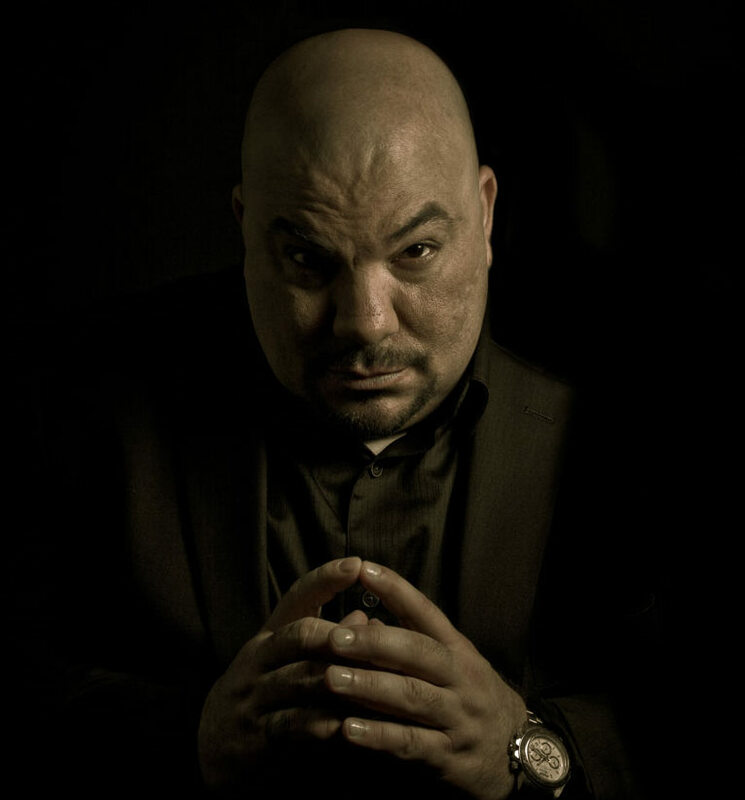 If people want to check me or my upcoming projects out further they can go to my home base- Church Hill Productions.com ( http://www.churchhillproductions.com ) from there they can navigate to any site I am involved in. Thanks again. Its always an honor to speak with you… Stay Cool. BOOYA! BOOYA INDEED!! I’ll try and keep you updates as more info comes available for Lazarus. I’m very excited for this project. So nice to see a good zombie movie again. Well I’m off for Halloween festivities. All of you enjoy yourselves and be safe. I want to see you back in November! This entry was posted on October 31, 2013 by malicepsychotik. It was filed under Reviews! and was tagged with allradiox.com, Church's Hollywood Moments, Dino's Prime Cuts, Emerging Past, Horror, independant, Lazerus, Monster Men, radio, SyFy, Thomas Churchill.